If your new year’s resolution is to buy a new swimming pool or complete a renovation, it’s a good idea to get familiar with the latest swimming pool technology and trends. 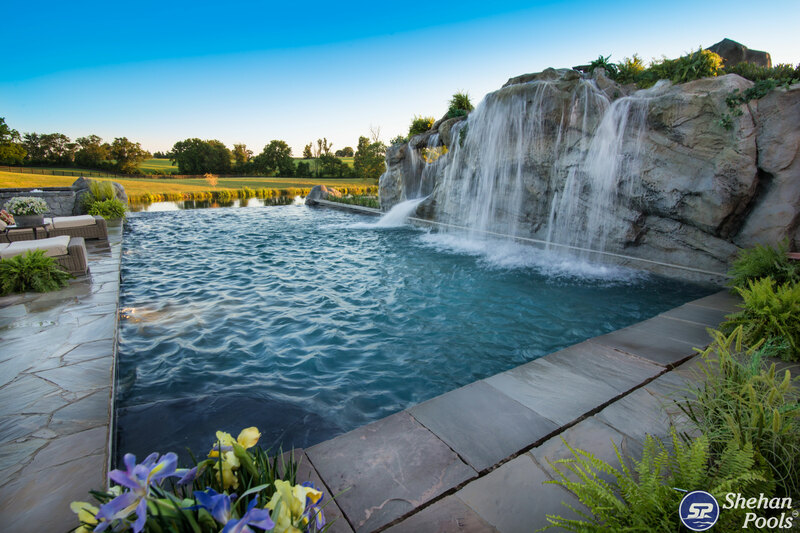 Once you have some inspiration and an understanding of the possibilities, local pool contractors can help you realize your vision. Until then, the following pool trends should help spark your imagination. Warmer temperatures and sunny skies can be highly motivating when it comes to investing in a swimming pool, but you’ll need the right local pool contractors to make it happen. The best companies can maximize your space and transform it into your own private oasis. Here are some of the inground pool ideas that are popping up around the area. Also known as infinity pools, wet-edge pools live up to their name, appearing to have no beginning or end, much like a natural body of water. They’re best built to overlook a spectacular view to add to the effect. Do you have limited space in your backyard? Local pool contractors can maximize your space with a smaller pool—one of the hottest pool trends sweeping American backyards. Smaller pools are a great option for those who simply want to cool off and bask in the sun on a hot day. Speaking of basking in the sun, sun shelves, also known as tanning shelves or Baja shelves, are also a popular addition. These flat, shallow ledges are perfect for sun-bathing chairs but also accommodate handicapped access or a children’s area. We’ve all grown to love the convenience and ease of technology, and the same goes for our pools. The latest swimming pool technology can be integrated into your pool design, enabling you to control anything from temperature and water features to lighting and music, with a smartphone or tablet. In addition to the latest swimming pool technology, you also have the opportunity to custom design your swim space in spectacular shapes and sizes. Fashioned pools can be built in an endless array of patterns and forms, from spirals to fish shapes and more. Designed to reduce inflammation and pain after exercise, plunge pools are also one of the more popular inground pool ideas for both residential or commercial purposes. Whether it’s a mini-plunge pool or a resort-style plunge designed with lavish luxury in mind, this is a great option for health and well-being. These free-form creations are taking the country by storm, with plants placed hydroponically in the pool’s construction. The free-form design sits naturally within the environment to look like a body of water, utilizing landscapes from nature, such as pool waterfalls and other aquatic designs that create the feel of a tropical paradise in your own home. You can turn these pool trends into a reality in your own backyard with the help of a professional pool builder. With the latest swimming pool technology and a plethora of inground pool ideas, you have a world of possibility waiting for you to take advantage of. It’s time to dive into planning!